No ones shown any interest in him which means he goes on loan again OR he’s in the 25. What shape is he in? What shape is he in??? That disappoints me that we have to wonder what shape he’s in, he’s a professional footballer, he should be in peak condition. If he isn’t then he shouldn’t even be considered. City fan wrote: What shape is he in??? That disappoints me that we have to wonder what shape he’s in, he’s a professional footballer, he should be in peak condition. If he isn’t then he shouldn’t even be considered. and shouldnt be paid...robbed our club tbh.. I expect Harris but Warnock has said he may have to have rethink which to me suggests pilks for the simple reason he missed out on a striker. 2blue2handle wrote: I expect Harris but Warnock has said he may have to have rethink which to me suggests pilks for the simple reason he missed out on a striker. Potetnailly but my gut is pilks. Knowing a champ club probably won't pay all his wages anyway. This does my nut, as everybody is different. There was a post on here after the Betis game saying Patterson looks unfit/overweight one of the two. Seen a picture of him welcoming Camarasa and he don't look like he's got an ounce of fat on him. 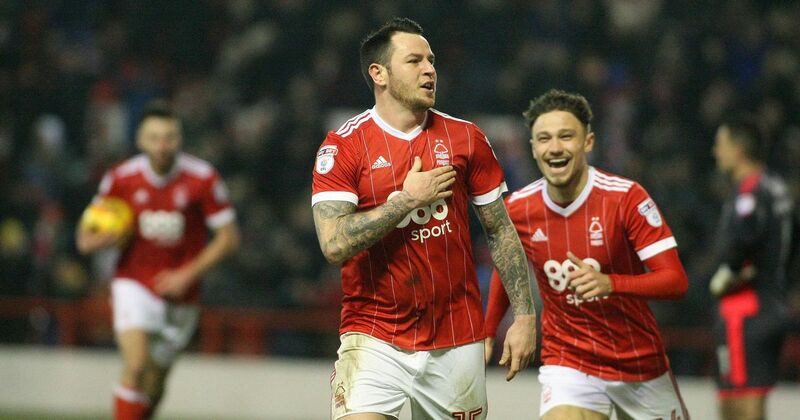 Tomlin playing for Forest, he dont look in to bad shape to me and has natural talent, would be in my 25. RV Casual wrote: What shape is he in? Who would you leave out for a lazy luxury player who won’t be able to complete 90 minutes playing the way we play? And that is absolutely fine mate, but why Warnock felt the need to sign him in the first place then god only knows. he doesnt look in too good shape either..i agree different people are different builds but in your Tomlins build, all the more reason to be lean...if you google his pictures its pretty clear his weight has gone up and down hence my earlier question. He is lean, seriously? look at him, his arms are the size they are. His neck is the size of his neck, its not like he's got a double chin. I can't agree with you sorry fella, he looks in good shape to me, he's only 5ft 11, he's the same height as me. I used to run 7 miles a day, every day and I was probably never in as good a shape as Lee looks there. I think your being very harsh, he's got a decent set of shoulders on him, he's quite broad, what do you want him to look like, he's a football player not a marathon runner. just flick through photos of him he looks a lot slighter in about half of them and was clearly carrying weight on day one of pre season.........and i dont want him to run 26miles either .just be first to the ball from 26inches now and again would be a start though..
AJ1927 wrote: What shape is he in? Iv not seen the photo but I think your a fair poster so ill take your word for it, however, I will say Wez posted on here that he reckoned Patterson looked overweight against Betis, the club put a photo out of Patterson shaking hands with Camarasa on his first day and he looks in top shape, any skinnier and he would have looked ill.
havent seen a patterson post so can not comment. as for Tomlin , i stuck up for him initially but when Warnock came out and said we have tried everything i gave up.